Turning your abode into a haunted house of horror for Halloween takes a lot of time and work. Finding ways to build props on your own can save you some money that's better spent elsewhere. 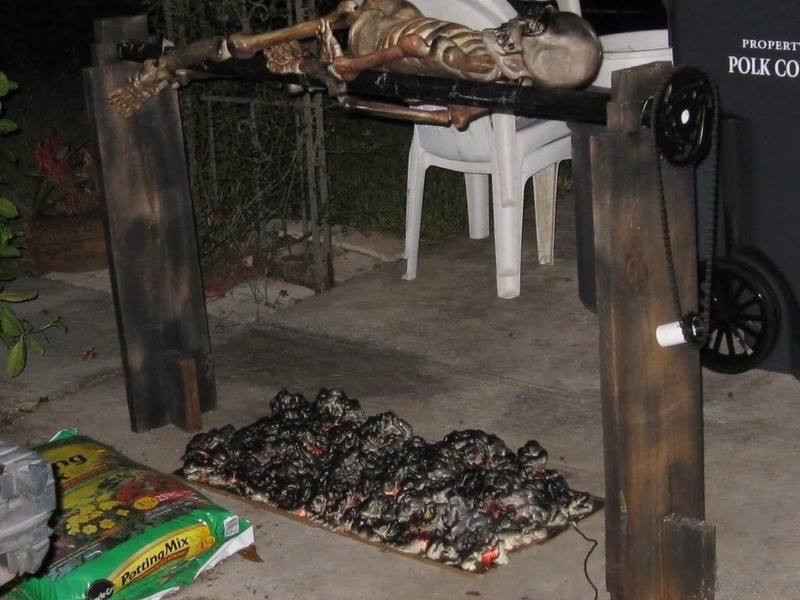 If you're looking to add some flare to your household decorations, try out this DIY burning coals trick from jpbailey1 on Halloween Forum. 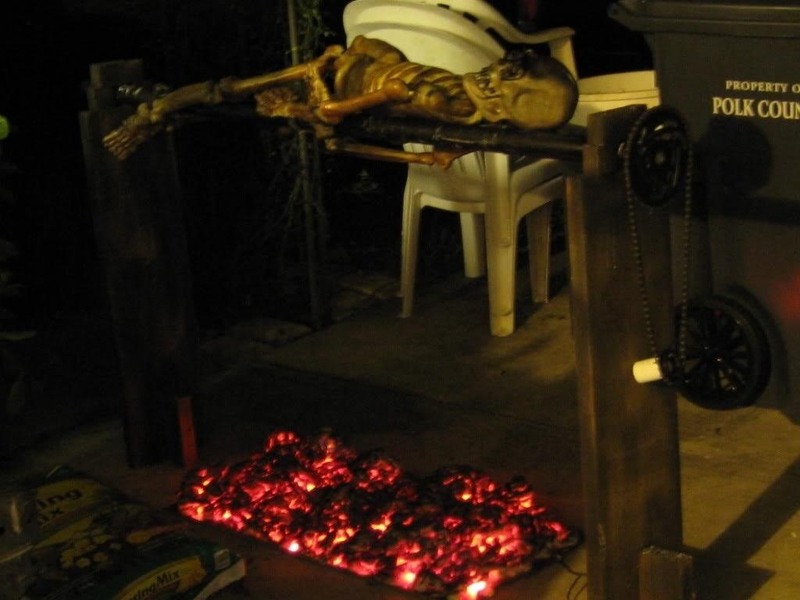 The burning coals could be a nice addition to a torture scene or nice prop for your walkway in front of the house. 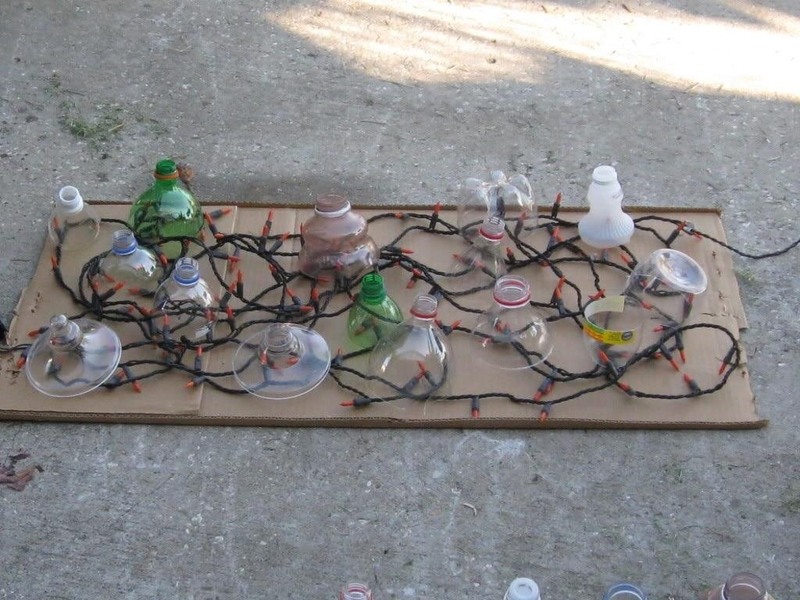 You want to place the majority of your bulbs underneath the bottle tops for better protection and lighting. Now that you have your initial setup, you can now spray the foam over the entire plane, making sure to cover up as much of it as you can. Once you have it covered in foam, you will spray it with black spray paint to get that coal look. Now just wait for it to get dark and place your coals in your scene. Plug it in and enjoy. 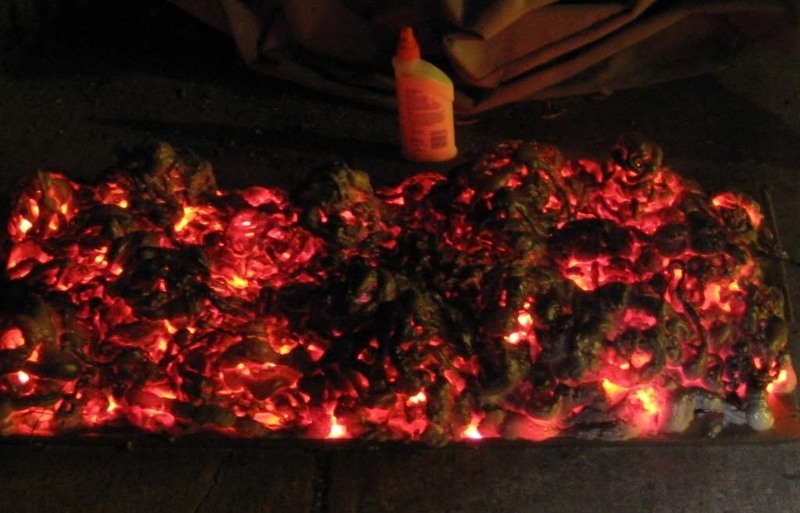 Check out jpbailey1's full project guide for more pictures of his DIY burning coals. News: The World in The Air! Would the heat from the lights have a chance of setting the foam spray on fire? On most Spray foam labels it says not for live electrical equipment. So I would be concerned with the safety issue. 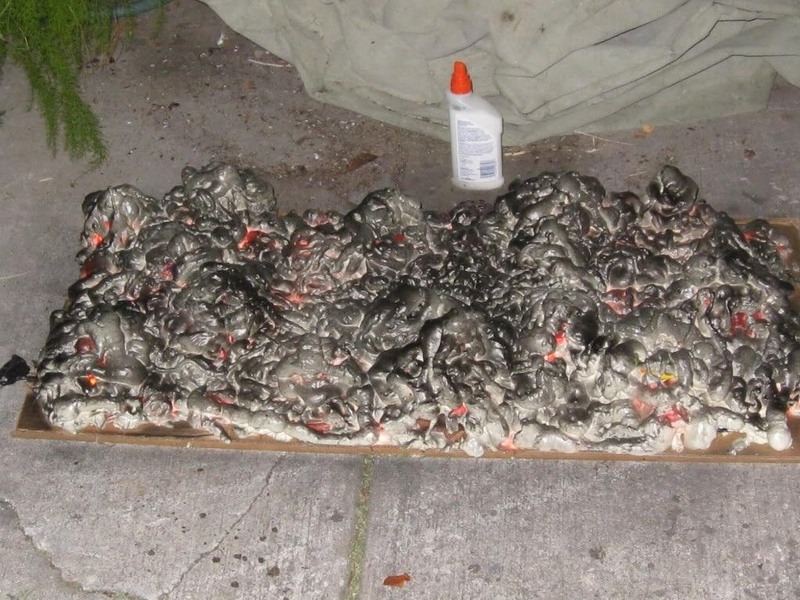 Has anyone done this prop and if so have you had any problems with the heat possibly setting the foam on fire? Please let me know before I try to spend money and time on this project. My sister has had it plugged in non-stop for almost 2 years with no issues. ...so you can never re-arrange the lights or change out bad ones? Single use only? Well single bulb that is. Maybe before spraying on the foam... cover lights and bottle tops with a clear plastic so you can take apart when done. I've done a lot of this but each piece is curling up instead of laying flat. 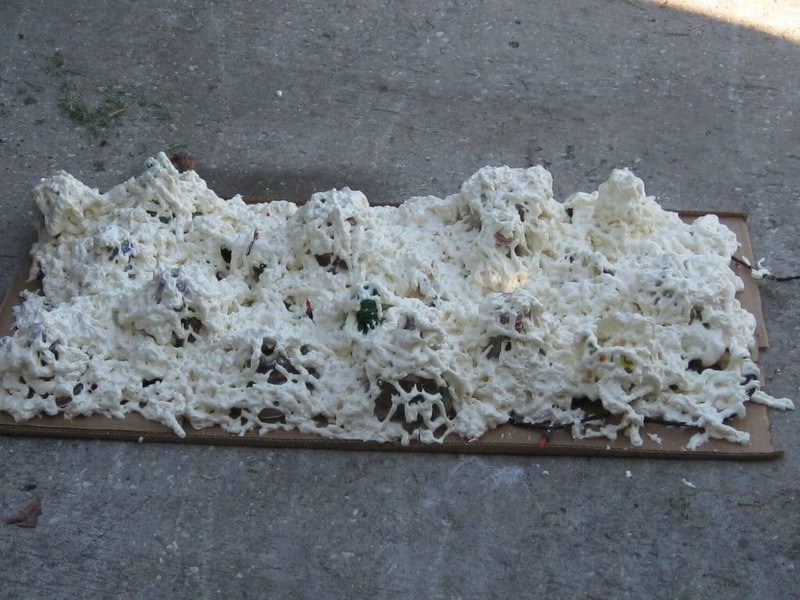 Is it possible that the foam is getting wet when spray painted and then curling up as it dries? Any tips on how to uncurl it?